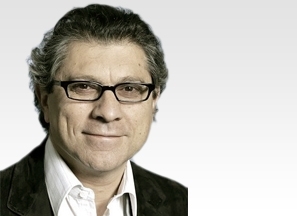 Dr Patrick Tropiano is a highly experienced Spine Surgeon and a key member of the eccElearning Spine Surgery Education Programme faculty. The Spine Surgery Education Programme contains 180 Spine Surgery Lectures, and contains Specialist Certificates and the full Postgraduate Diploma in Spine Surgery. The eccElearning Faculty is made up of over 140 expert spine surgeons and educators. They have collectively supported the development of the world’s first comprehensive, online postgraduate education programme in a medical sub-speciality, spine surgery. Department of Orthopaedic Spine Surgery, CHU Hôpital La Timone, Université Aix-Marseille, Marseille France. 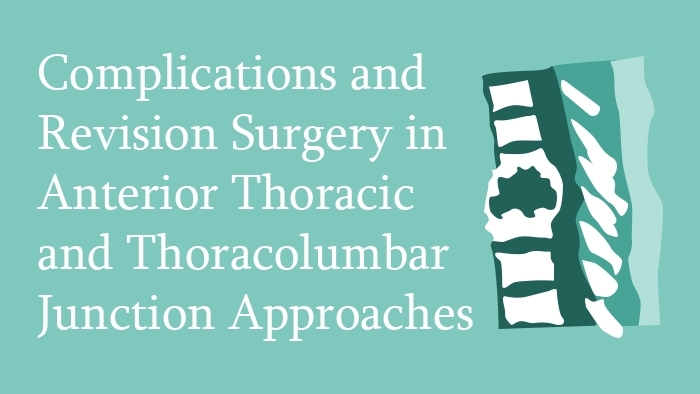 This spine surgery lecture looks at the complications in anterior thoracic and thoracolumbar junction approaches and discusses their management strategies. The lecture begins with a discussion of the management of the structures damaged in the thoracic cavity, which include the pulmonary artery, vein, lungs, oesophagus and thoracic duct. Useful tips and tricks in management of these troublesome complications are provided, and an outline is given of the team members that need to be present to manage these complications.